Young and Free 4-H Club members are, from left to right: Thomas Ward, Alex Valdez, Amber Richmond, Katie Ward, Dennis Ward and club leader Amy Richmond. 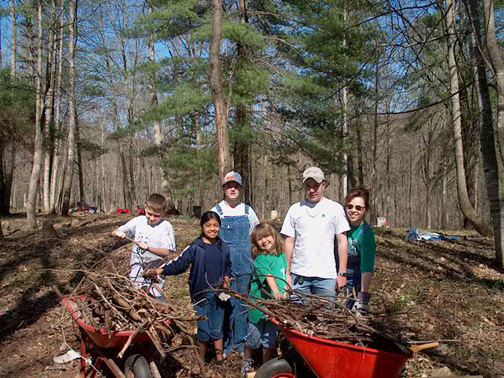 April 16, 2005 - Members of the Young and Free 4-H Club of Sandstone and Meadow Creek make a difference this spring. 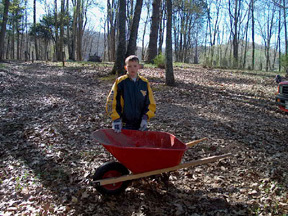 Members participated in "WV Make It Shine/Keep America Beautiful Great American Cleanup". 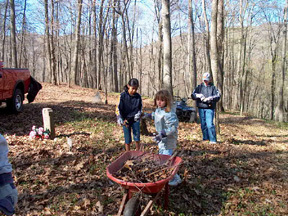 Five members of the club along with club leader, Amy Richmond, worked together to cleanup fallen tree limbs, branches and debris from the Meadow Creek Cemetery in preparation for mowing season. The Young and Free are to be commended for their efforts to reach out and make a difference in our communities. 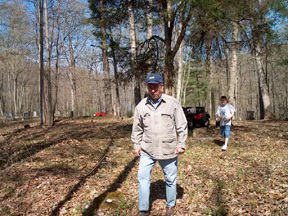 Club members collected P.J. 's, baby food and books for the Women's Resource Center as their second spring community service project. Two club members and leader Amy Richmond, delivered three large boxes of items to the Women's Resource Center in Glen Daniels. 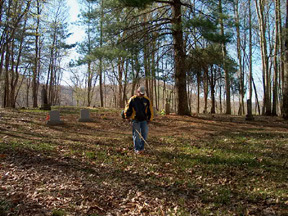 The Meadow Creek Community Cemetery Organization would like to thank the Young and Free 4-Hers for their dedication to making West Virginia shine.